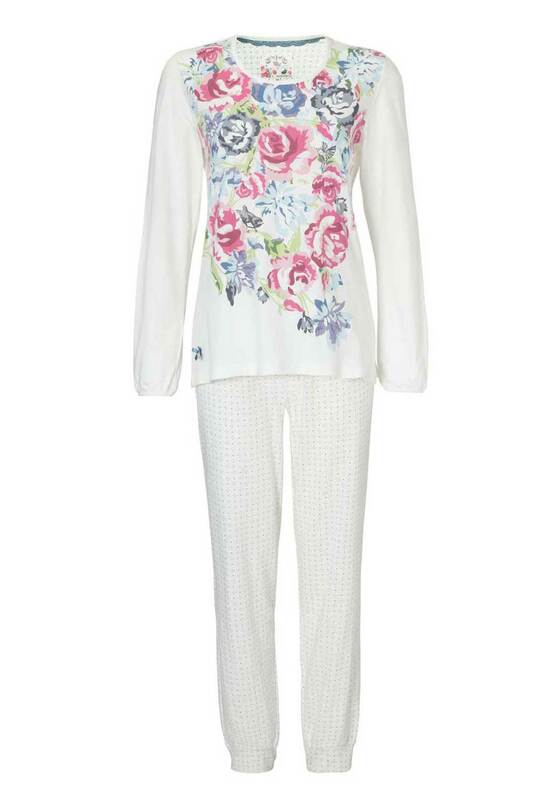 Relax at the weekend or at the end of a long day in this feminine pyjama set from Pastunette which is sure to become a favourite in your nightwear drawer. 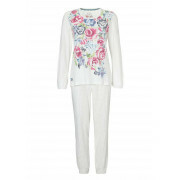 The long sleeve pyjama top is made from soft cotton fabric and features a colourful rose print on the front. The long leg printed pyjama bottoms have a comfortable elasticated waistband.